Courage leads the way, cutting the icy stage for Disney’s most adventurous dreamers as Disney On Ice presents Dream Big. Get tangled up in Rapunzel’s hair-raising quest to see the floating lights. Travel to mountainous Arendelle with Anna, Elsa and Olaf in a dramatic retelling of the sisterly love that saved a kingdom. And discover the strength, bravery and kindness that inspired generation after generation with Jasmine, Ariel, Aurora, Belle and Cinderella. Plus, arrive early to join a special 90th birthday celebration in honour of Walt Disney’s original dreamer, Mickey Mouse. 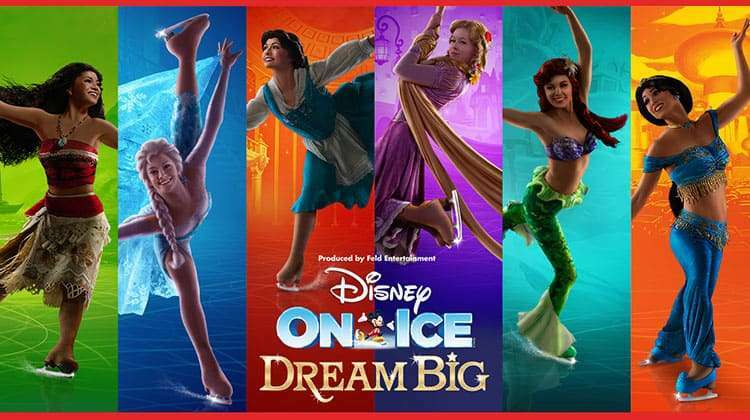 Disney On Ice: Dream Big is booking from 26 December 2018 until 6 January 2019 at the O2 Arena, London. Why book Disney On Ice - Dream Big tickets with us?